Playtesting the 2013 demo was a thoroughly unwelcome, even unpleasant experience. Handling the cars was horrendous. One slight tilt to the left or right on your analogue stick veered the car in the opposite direction, and sent it bouncing across the plains like a pinball in the hands of a true wizard not unlike Tommy. No matter how careful I handled the car, it wound up in the bushes time and time again. With a distinct amount of pleasure and relief, I can confirm this massive, game-breaking flaw has been greatly improved in the eventual retail edition of 'Driveclub.' In fact, taking control of the car is now very intuitive and requires no more than a solid grasp of the controller. Taking too sharp a corner can be rectified by gently pushing the L2 button. Handling, driving, slipping and sliding all work quite lovely. What a difference a year of game development makes. First impressions first: 'Driveclub' is fast. Very fast. The actual races will more than satisfy your need for speed, with an ever so slight force feedback sensation. But that's not all. Starting and restarting the race takes one second (even the countdown, a staple of racing games, is removed) and the level select passes without any loading worth mentioning. This is in stark contrast with the sloth-esque speeds of 'Gran Turismo 5.' Even 'Gran Turismo 6,' while a lot swifter, could tax your patience with 15+ seconds of loading screens. Another pro is the permanent damage dealt to the car that's still visible during the closing cut scenes of a race, and the stern aggression of the NPCs (non-playing cars). Less interesting is the game's lack of proper understanding of what makes a gamer tick. We, gamers, love to cross virtual boundaries and go off-limits. Offering us a chance of doing what we can't do in real life is one of the defining selling points of the medium as a whole. In 'Driveclub,' going off road is allowed for a mere three seconds. Finding an alternative route towards your destination or even getting ahead of the competition by taking a shortcut is completely prohibited. That's just pitiful, Sony. 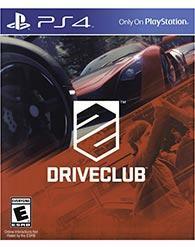 Even though the name of game in 'Driveclub' is to garner Fame for the club, there's something lacking. Unlike a 'Forza 5' or 'Gran Turismo 6,' there's no tuning, no picking which assists (aside from shifting) make the racing more challenging but mroe fun, and there's no adjusting the AI. That means that going online is straightforward, but could be considered shallow. After playing through all levels and play modes, one 'but' remains - and it's a pretty big 'but'. 'Driveclub' is still just a flashy, good-looking racing game. It's never particularly exciting or engaging. The realistic racing genre has been stale ever since 'Gran Turismo 2' upped the ante and moved the goalposts. No matter how many times you take out the wax to lyrically fawn over the gorgeous graphics, gameplay-wise this game is no different from 'Sega GT' or 'Grid 2'. These titles each have their own individual strengths and merits for the dedicated follower of fashion racers, but at the end of the day, they bring next to nothing new to the table. It's still going from A to B, while ticking off checkpoints and achievements. For as much as I admire the sheer amount of transpiration and man hours that went into the creation of a killer app like 'Driveclub,' I can't shake the feeling that the time spent racing could be filled with the much more satisfying 'Mario Kart 8'. A non-realistic, outrageous, over-the-top, even childish game. But also a fun one. Isn't that what all games should strive to be? 'Driveclub,' however, is never fun. Graphics-wise, 'Driveclub' is one stunning game, even at 30fps. As far as PlayStation 4 racing games go, 'Driveclub' takes the cake, decorates it and wins the bake-off. Landscapes and vistas impress with endless amounts of detail. You could actually count the leaves on the trees, should you choose to slow down during frantic face-offs. During certain events, the sun slowly goes down, darkness falls across the land and beautifully obscures the road. Lest I forget, car models are hyper realistic eye candy for enthusiasts. While still not THE reference game to convince your sceptical friends to splash the cash for a PS4 from a pure graphical standpoint, 'Driveclub' still scores very high on the visual charts. There's no music during the races by default, just loads and loads of 'vrooms', screeches and braking noises. The audio submenu offers the possibility to turn on a questionable selection of background tunes. While crystal clear and designed to give your subwoofer a good work-out, the audio ranks as 'Driveclub's weakest aspect. Every race has two, three or more achievements to unlock, with corresponding trophies for expert players. Lots and lots of stuff to unlock, and sharp lap times to beat. As a racing game 'Driveclub' can consume a being for months on end through the art of shaving time. Putting together a real club online of other racers makes sense and can make for a lot of mileage provided all participants have bought in to the game's strict, old-school approach to racing.